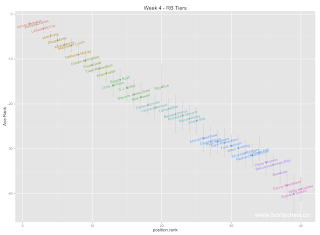 I love the RB tiers this week. They are extremely intuitive and inline with most experts feelings thus far. Anyone in tier 1 or 3 is capable of RB1 numbers. 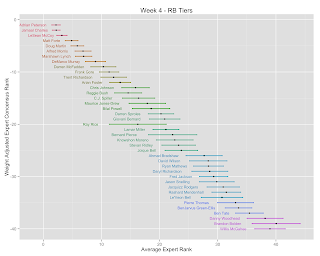 Tier 4 backs you can probably count on to produce RB2 numbers and should not be benched. Tier 5 is by far the most interesting group to me. Bernard, Moreno, Miller, Powell, Sproles, Bell and Pierce now are exact equals going into Wednesday. This is the "boom or bust" tier. Notice that most the backs here are in time shares and our algorithm groups them together. Ridley continues to drop. Powell comes out of nowhere filling for an injured Ivory on the 2-1 Jets. 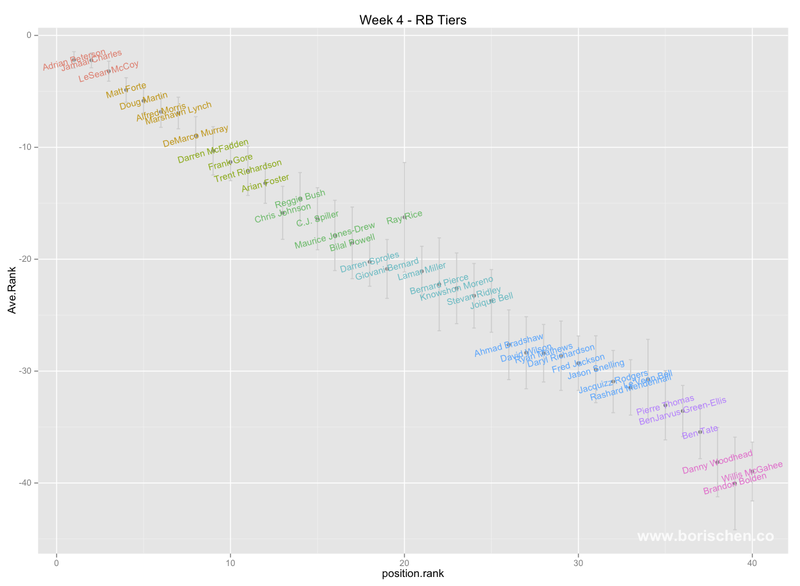 Experts are giving CJ Spiller another week, where as the ship has sailed on David Wilson who has dropped into tier 5 this week. 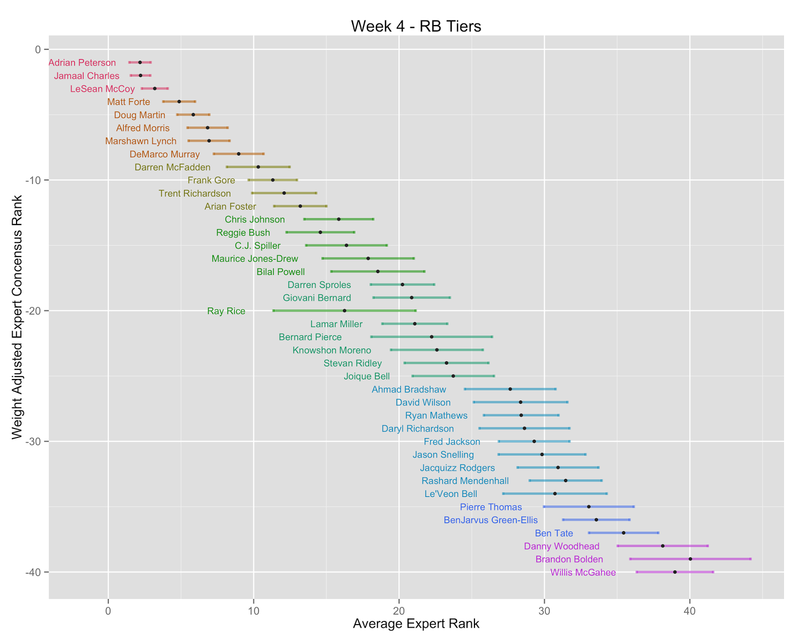 edit: Wilson is on the same tier as Fred Jackson now, and if you asked me I'd take Jackson over Wilson this week. A couple injuries still hang from last week: Reggie Bush and Ray Rice. Check as the week goes on to see their solidify one way or the other. Looks like both Bush and Rice will be playing this week, and they're set in tiers 4, but don't expect Rice to get his normal work load.